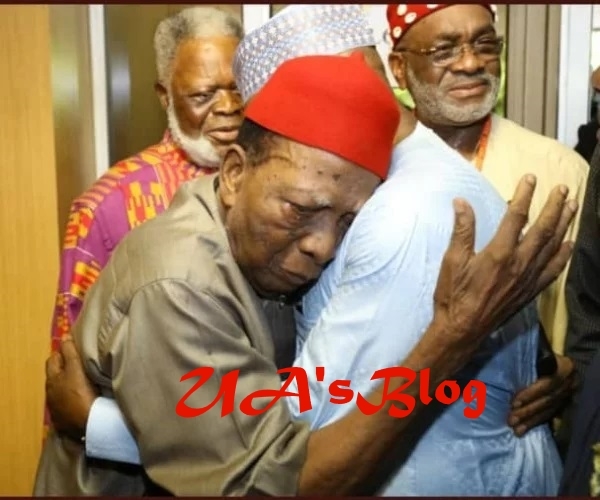 Segun Sowunmi, spokesman of Atiku Presidential Campaign said Nwabueze got emotional during the meeting. The communiqué read by a legal luminary, Olisa Agbakoba, SAN said: “The summit deliberated on the State of Ndigbo in Nigeria today especially after years of exclusion from the center. “This country has never been as divided as it is today. We Igbos have always yearned for a level playing field with justice, equity and fairness. “The Summit recognized the nomination of His Excellency Mr. Peter Obi Former Governor of Anambra State as the Vice Presidential Candidate of the PDP and fully endorses this nomination.